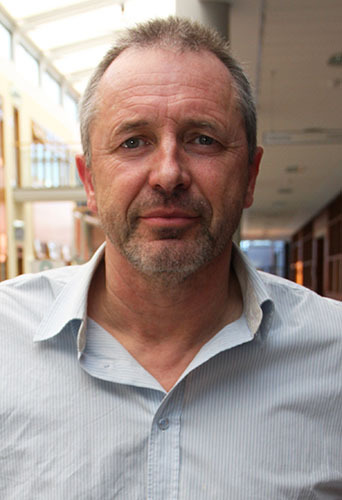 Since 1997, Alan Smeaton has been a Professor of Computing at Dublin City University where he has previously been Head of School and Dean of Faculty. His early research covered the application of natural language processing techniques to information retrieval. This broadened to cover content-based retrieval of information in all media, text, image, audio and digital video. From 2007 to 2013 he was Deputy Director of CLARITY: Centre for Sensor Web Technologies, a large multi-site research centre of over 120 researchers, co-funded by Science Foundation Ireland (SFI). CLARITY has secured over €35m in competitive research funding over a 5-year period. From 2013 to 2019 he is Director of the INSIGHT Data Analytics Research Centre at DCU, a €70m+ centre funded by SFI and by industry based mostly at 4 Irish Universities. INSIGHT has 30+ industry partners, representing the largest single investment in research made by the government of Ireland. Alan has published over 550 refereed papers in journals, conferences or workshops, has more than 9,300 citations and a h-index of 45 (Google Scholar, February 2014). Since 1987, he has personally secured over €14.3M in research funding for his own (non-research centre) research activities from Irish and international funding agencies, and from industry. Since January 2006 he is PI, Co-PI or named Collaborator on 44 individual funded projects. Alan’s early research covered the application of natural language processing techniques to information retrieval. This later broadened to cover content-based retrieval of information in all media, text, image, audio and digital video. As new and affordable technologies for data capture come on-stream, including examples like Microsoft’s Kinect, brain-computer interfaces and affordable eye-tracking, these offer opportunities for exploiting them usefully. The emergence of the real-time web, which provides new forms of media, and how we might interact with this new media, is also a focus for Alan’s work which can be summarised as developing analytics for new and traditional forms of media.